After looking high and low for some nice and classy leather gloves for Lauren to ride in, I wish I would have known about these beauts coming out. 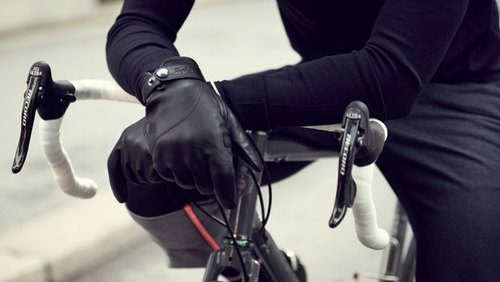 In their tradition of making quality cycle wear, Rapha introduces the Leather Town Gloves. These aren’t your traditional cycling gloves, they’re a little classier than that. Those look like some “pull your left one off and smack someone in the face” gloves.